The popularity of this hybrid of OG Kush and Girl Scout Cookies has soared in recent years, and it’s easy to see why. With 1st place as Best Coffeeshop Strain of 2014 in the High Times Cannabis Cup under its belt its roots lay in Amsterdam, which probably accounts for its strength and potency. 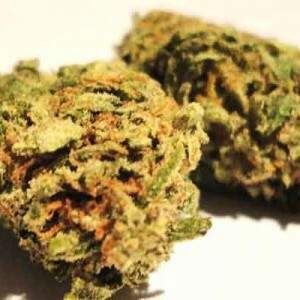 80% Sativa and 20% Indica come with strong THC levels which have been recorded as high as 23%. Basically its a night couch bound with this baby. Light olive green leaves and nugs are covered with resin rich trichomes giving it a sticky, web like surface and grape sized appearance. The aroma is earthy and fuel-filled, with a particularly sweet lingering scent. 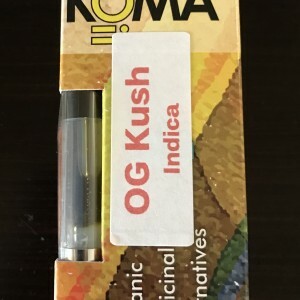 The smoke itself is smooth with a spicy, fruity inhale and minty exhale and a high of relaxation that also has medium amounts of tingling sensations and euphoria. Don’t plan on doing much when partaking in this strain as the effects are pretty much immediate, and the following 2-3 hours will be spent in a mellow haze, lethargically chilling your way through a box set. If you are in need of a good nights sleep and looking for long lasting relief from pains then this is the cannabis strain for you. It has also been cited as good for use with stomach problems and stress relief. This marijuana plant is good for both indoor and outdoor growing and has a flowering time of 9-10 weeks. With a low to mediate yield, this is the perfect choice for all those with intermediate gardening skills. Buy High Quality and Original Kush Cookies (Hybrid) Weed online at Marijuana Floor.